Any person, who likes to visit out of the country for a holiday or work, must have a valid passport. There are different types of passport which you can apply for in India like Ordinary passport, Official Passport, Diplomatic Passport, etc. You have to choose according to your need. The process is quite an easy one. If you stay at Raipur, Ambikapur, Bhilai-Durg & Bilaspur Chhattisgarh and don’t know the process of application, the details are mentioned below for your help. For the application, first you have to visit https://portal1.passportindia.gov.in/AppOnlineProject/welcomeLink. If you are not registered, first you have to complete the registration to create the user id and password. After registering, log in using your user id and passport. You have to click on the option ‘Apply for Fresh/Reissue passport’. The E-form will open on your screen. Fill it up with correct information. Upload all required documents along with it and save the form. The fee which is needed to be paid is INR 1500 for a passport of 36 pages. You can pay the fee via debit card, credit card, or net banking. One thing which you need to understand that the fee is completely non-refundable. After that, you can fix the appointment at your nearest passport seva Kendra. On the fixed date, you have to visit there with all required documents. Don’t forget to take the original documents for verification. After the verification, you will be asked to pay the fee in cash if you still had not paid the fee online. Then, your photograph will be taken there. You don’t have to submit any photograph. When all done, your form will be submitted. 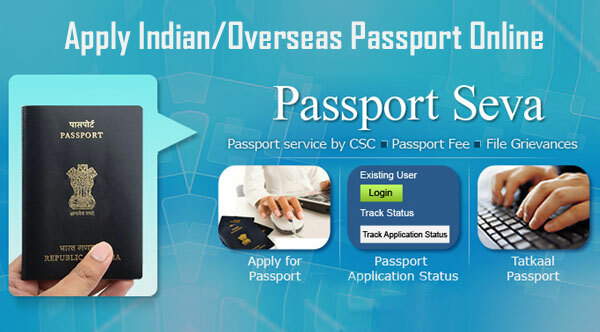 You will be given an acknowledgment number which you can later use to track the status of your passport. After submission, before the issuance of the passport, a lot of verifications are done. Most important among them is the Police Verification. If everything found clear, your passport will be issued and sent to you via post on your registered address. Identity Proof: Voter ID card, PAN Card, Aadhaar card, Driving License, etc. Address Proof: Water Bill, Telephone Bill, Electricity Bill, Bank Statement, Aadhaar Card, Gas Connection details, etc.